The Sports Dept. 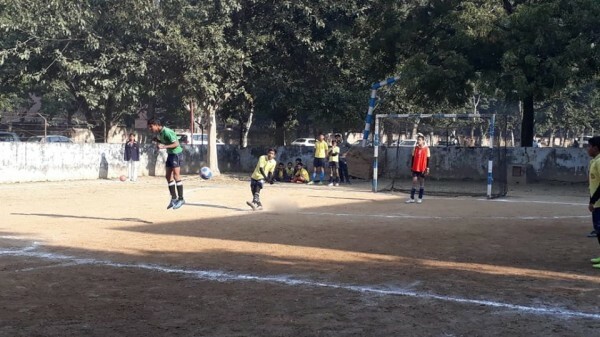 of Tribune Model School organized Inter House Football Tournament for the students of classes VI to IX. It was a two day tournament from December 26 to 27, 2018. On the First day i.e. 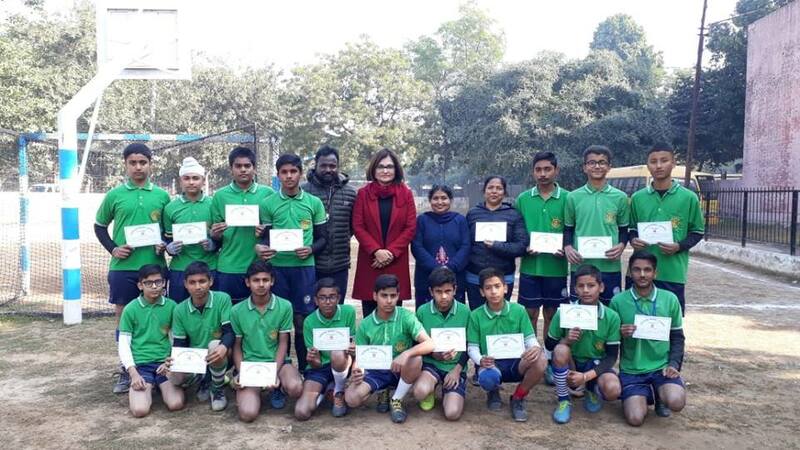 on 26/12/2018, First Match was held between Dronacharya House & Chanakya House, in which Dronacharya House won the match by 4-1. The Second Match was held between Vishwamitra House and Shankracharya House, in which Shankracharya House won the match by 2-1. On the second day of the tournament, Match for the First Position was held between Dronacharya House & Shankracharya House, in which Dronacharya House won the match by 3-1. Match for the Third Position was held between Vishwamitra House and Chanakya House, in which Vishwamitra House won the match by 7-1.